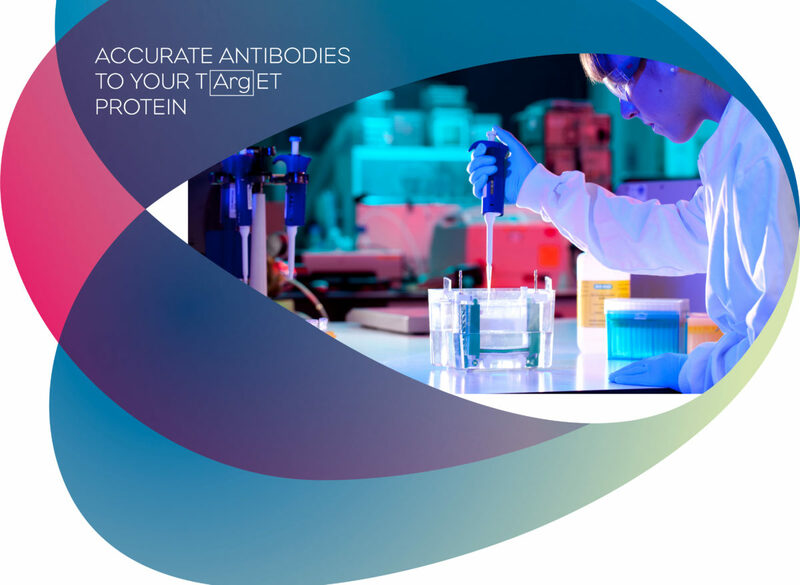 We are often asked by customers, “how successful are your antibodies?” and our general reply is that many of our customers are core antibody groups within large pharmaceutical companies (in-house antibody specialists with many years of generating antibodies themselves) and they have chosen CRB to custom generate their antibodies for more than ten years. So from this we deduce we must have a good success rate and be easy to work with. Discovery research is highly confidential and a lot of our clients want us to respect their privacy so we are not allowed to mention who we support. However, if you wish to work with us for the first time and would like some reassurance of our success rate, then we’d be happy to put you in touch with one or two of our long-standing customers who are happy to discuss how it feels working with CRB. Please contact us to sort this out for you. CRB did produce commercial antibodies from 1985 until 1994 when the catalogue business was sold to Sigma-Genosys and therefore any searches made on Cambridge Research Biochemicals will bring up lots of commercial antibodies used and cited in that period. From 1994 onwards the company focused on custom produced antibodies, mainly against surrogate peptides. In 2016 the company launched its new catalogue business, DISCOVERY® (read more at our History page). Kohl, A. et al, MRC-University of Glasgow Centre for Virus Research (2018). PLOS Neglected Tropical Diseases, 12(10), p.e0006884. Murphy, M. et al, MRC Mitochondrial Biology Unit, University of Cambridge (2018) Journal of Biological Chemistry, pp.jbc.RA118.002579. Liu, J., Noel, J. and Low, H., Imperial College London (2018). Nature Communications, 9(1). Conduit, P. et al., University of Cambridge (2018). Current Biology, 28(14), pp.2314-2323.e6. Gene expression of AvBD6-10 in broiler chickens is independent of AvBD6, 9, and 10 peptide potency. Hall, J. et al., Newcastle University (2018). Veterinary Immunology and Immunopathology, 202, pp.31-40. Murine leukemia virus p12 tethers the capsid-containing pre-integration complex to chromatin by binding directly to host nucleosomes in mitosis. Bishop, K. et al., Francis Crick Institute London (2018). PLOS Pathogens, 14(6), p.e1007117. Andreae, C. et al., University of Bristol (2018). PLOS ONE, 13(3), p.e0193940. The integrated stress response regulates BMP signalling through effects on translation. Marciniak, S. et al., University of Cambridge MRC (2018). BMC Biology, 16(1). Frezza, C. et al., University of Cambridge MRC (2018). Molecular Cell, 69(4), pp.581-593.e7. Evaluation of a novel antibody to define histone 3.3 G34R mutant brain tumours. Layfield, R. et al., University of Nottingham (2017). Acta Neuropathologica Communications, 5(1). Vaccinia virus A11 is required for membrane rupture and viral membrane assembly. Pénard, E. et al, Centre for Innovation and Technological Research, Ultrapole, Ultrastructural Bio-imaging, Paris, France (2017). Cellular Microbiology, 19(10), p.e12756. Yvonne Nyathi and Martin R. Pool, University of Manchester, JCB, 2015, vol. 210, no. 2, pp. 287-301. Whitfield et al, University of Cambridge & The Babraham Institute, Nucleic Acids Res. 2015, 43 (11), pp. 5586-600. John S. O’Neill et al, MRC-Laboratory of Molecular Biology, Methods Enzymol. 2015; 552: p.185-210. Gregory R Sondag et al, Northeast Ohio Medical University, J. Cell. Physiol. 2014; Vol. 229, Iss. 7, pp. 955-966. Jan Löwe et al, Structural Studies Division-MRC Laboratory of Molecular Biology, PLOS ONE, Sep 2014, Vol 9, Issue 9, e107211. Anne-Marie Quirke et al. The Kennedy Institute of Rheumatology, Ann Rheum Dis, 2014; Vol 73, pp. 263–269. Linda Wicker, L. Esposito et al. Journal of Immunology, Jul. 2014 193 : 889-900. Telkoparan P et al, PLoS One. Jul 2013, 19; 8 (7): e69289. David Komander et al, MRC Laboratory of Molecular Biology, Cell, Jun. 2013, p. 1312–1326, Vol. 6, No. 153.